itself is a venue for exhibitions, concerts and expò. A place to see, but also a place where to be seen. And for all those who love to try the combination of aesthetics and taste, the hotel features a fusion Japanese restaurant renowned and a famous meeting place of the city. In the very heart of Florence, the birthplace city of Renaissance, the Gallery Hotel Art is located in a strategic location to explore the city's artistic and historic attractions. 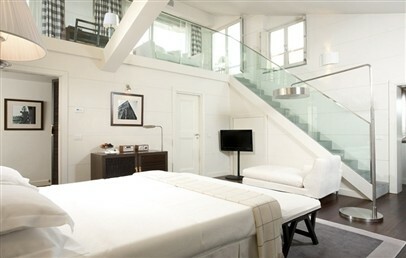 Only a few steps from the Old Bridge (Ponte Vecchio), the Hotel is one of Europe’s first contemporary design hotels. A fashionable mix of Asian and Florentine architecture as well as international touches, the Hotel is a space of contemporary art which aims to discover new styles and new ideas; a constantly evolving space. Designed by the Florentine architect Michele Bönan, the Gallery Hotel Art is part of the stylish Lungarno Collection. 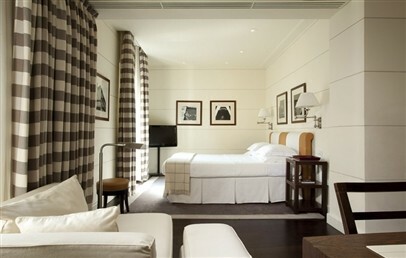 The 74 rooms and Suites of the Gallery Hotel Art are furnished with materials such linen, cashmere, Asian wood, Tuscan stone and offer special toiletries by Salvatore Ferragamo. 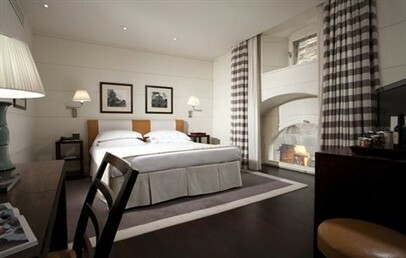 Guests can choose among 69 rooms, divided in Gallery Double, Gallery Prestige and Gallery Deluxe, and 5 stylish Suites, unique and precious, named with 5 important symbols of Florence. The Guests of the Gallery Hotel Art can access to the White Iris Beauty SPA by Daniela Steiner of the nearby Hotel Continental, offering high quality wellness and beauty treatments. A few examples from the treatments list: White Gold Treatments, Sublime Feet, First Total Cleaning, Daniela Steiner Luxury Body Massage. Asian inspiration; minimal and warm atmosphere: The Fusion Restaurant & Bar is meeting point of cultures, styles and oriental tastes. The cuisine is a modern fusion among Mediterranean flavors and essences from China, Thailand and America, accompanied by fine wines chosen by the sommelier. The guests of Gallery Hotel Art can also enjoy the wonderful views over Ponte Vecchio from Borgo San Jacopo, the Restaurant of Hotel Lungarno, where the experienced and creative Chef Beatrice Sergoni offers dishes based on Florentine and Italian tradition, with a contemporary original touch. The Art Gallery of the Hotel is the result of a careful selection of artists, that present their works of art in a modern and original way. The Hotel becomes the place where meet the art of hospitality and the contemporary art, a modern version of the Renaissance celebrated in Florence. A stylish library, where are set exhibitions of contemporary photography, offers the chance to have a tasty breakfast, lunch or sip a refreshing cocktail. 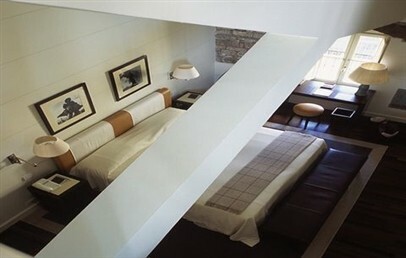 Contemporary style, elegantly furnished with materials such as linen, leather and wood. They are characterized by soft colors; the sandstone bathroom offers complimentary toiletries with products by Salvatore Ferragamo. Contemporary style, elegantly furnished with materials such as linen, leather and wood, the rooms have large windows that create a very bright atmosphere. They are characterized by soft colors; the sandstone bathroom offers complimentary toiletries with products by Salvatore Ferragamo. Contemporary style, elegantly furnished with materials such as linen, leather and precious oriental woods; a comfortable chair to relax after a long day. They are characterized by soft colors; the sandstone bathroom offers complimentary toiletries with products by Salvatore Ferragamo. Contemporary style, elegantly furnished with materials such as linen, leather, precious oriental woods and cashmere; living corner where guests can relax after a long day. They are characterized by soft colors; black and white photos are a tribute to the Florentine Renaissance. 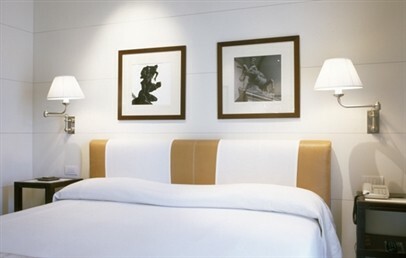 The bathroom offers complimentary toiletries with products by Salvatore Ferragamo. Contemporary style, elegantly furnished with materials such as linen, leather, precious oriental woods, the Suite Gallery are on the top floor of the building. 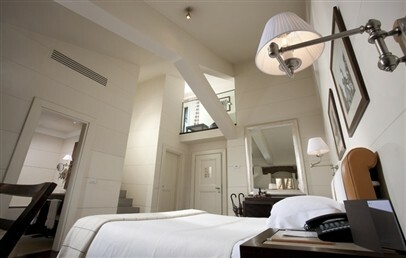 Some are set over two floors; all rooms have a beautiful view of the Cathedral of Brunelleschi and San Miniato. They dispose of a living room and are dedicated to the great travelers who have fascinated the world. 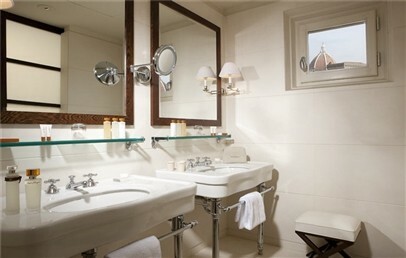 The bathroom offers complimentary toiletries with products by Salvatore Ferragamo. Contemporary style, elegantly furnished and divided on two levels: the sleeping area with double bedroom and stylish bathroom; the upper part with living area, sitting room with armchairs and a desk. 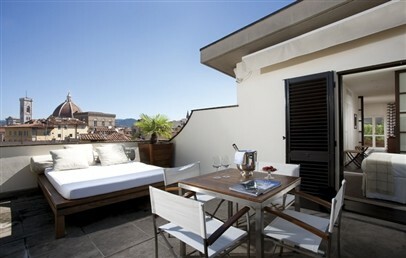 A beautiful furnished terrace offers wonderful views of the city of Florence. 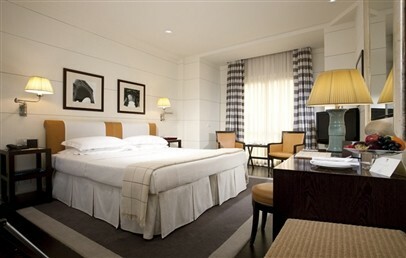 Spacious Suite in contemporary style, elegantly furnished and located on the top floor of the Hotel, divided in two levels. A beautiful terrace offers wonderful views of the city of Florence. On request, it can be connected with the Suite Pitti, also from the outside. Spacious Suite in contemporary style, elegantly furnished, on one floor and with a comfortable living room with sofa bed. The Penthouse Palazzo Vecchio has two bathrooms and two wonderful terraces, offering amazing views over the city of Florence.